Thumbs up on getting the podcast up and going again! 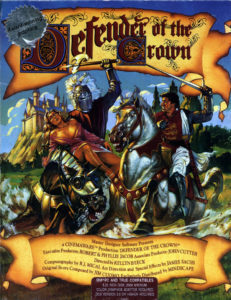 This was a great episode – DOTC was one of my favorite games growing up and I spent many hours playing it on the C64 and on the Amiga. A quick note about the Amiga theme used in the podcast – it sounds like it was recorded in PAL mode – so it is playing at a slower speed than it is supposed to. The game was designed in the US, so was meant to be played in NTSC mode.